As a successful business woman, I wish I could say that I did it all on my own without the support of anyone. The truth is my husband has been the rock for which I lean on when things get rough. He has been the perfect sounding board and my “go-to” guy when I need help balancing our family dynamic. How does this wonderful man get me through my day and make me realize how much he means to me? Children – With two daughters in the house, it can be difficult at times to balance what needs to be done while keeping the business functional. Instead of sacrificing time from ensuring the continuation of my business, my husband takes care of the children and their needs. Sometimes, they’ll even surprise me at the office. Fortunately, my husband is keen on my emotional states and knows when it’s a good time to visit or just say hello and leave. Housework – In our family dynamic, we believe that everything is a concerted effort by everyone to pitch in. Although I’ll try to get a few things done around the house, my husband usually beats me to them. He understands that he has more time than I do as he works from home anyway. Even when he had a regular job, he still managed to get more of the housework done than I have. To be honest, it’s very liberating to come home after a harsh day and relax in a clean living room – no minor feat considering our children are extremely messy. Emotional Support – Although my business is small, there is a lot of times where I feel like I am stressed to my limits. Often times I’ll come home and my husband will sit and generously listen to my complaints and stresses only offering a few caring words. I just need to vent and he knows how to handle the situation should I become an emotional wreck. Understanding – My business is something I’ve always had an interest in. Although my husband makes more money than I do as a freelancer, he understands that this is something I would like to do. We make enough money to pay the bills, but not much after that. When there are times I think that maybe I should just find a better paying job, he reminds me that we are OK and that things are getting better – which they are. He understands how much I love my business and doesn’t push for not having extravagance. No Separation – Unlike many households, we don’t separate our money or bills. Everything is a team effort and our money is ours. Although we tend to stash a bit from each other for birthdays and Christmas, we are a team and work together as such. This greatly helps my frame of mind when I walk into the office. I am part of a very successful team at home and that confidence is shown through my workmanship. I suppose the above could be more for men to read than other women of business. This is how my husband keeps my sanity and helps me succeed. He has made a conscious effort to keep the tops spinning for he knows how important this is to me. If you have a man in your life, I hope he is as understanding to your situation as mine. You’d be amazed at how well the business can function if there is a team effort within the home. Sara is an active nanny as well as an active freelance writer. She is a frequent contributor of http://www.nannypro.com/. 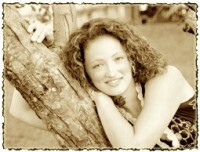 Learn more about her http://www.nannypro.com/blog/sara-dawkins/.